When you go to choose a family orthodontics practice, your goal is likely to have your teeth straightened. What many don’t realize is that orthodontics can do much more than this and improve a person’s overall smile by correcting overbites, under bites and more. When you have a beautiful smile, you’ll be more confident, appear more approachable to others and see an increase in your self-esteem. If you have been putting off treatment of this type, don’t do so any longer. The benefits of American orthodontics treatment greatly outweigh the drawbacks. Who Benefits From Family Orthodontics Treatment? Many associate orthodontics treatment with children and teens and yet adult orthodontics continue to increase in popularity. A healthy smile has been shown to improve your career chances also as 74 percent of adults believe an unattractive smile hurts a person in their career. Thanks to advances in orthodontic treatment, such as the introduction of Invisalign braces, adults can now easily receive this type of treatment without others knowing they are having any work done. Furthermore, Invisalign braces reduce treatment time and fewer visits are typically needed when this option is selected, making this the perfect choice for adults constantly on the go. When you visit an orthodontics Long Beach practice, there are many things you need to be looking for to ensure you get the treatment you want and need. Will you be working with the orthodontist or will work be completed by others? If the work will be done by technicians, does the orthodontist check the work before you leave and who do you contact if a problem arises? Do you like the atmosphere of the office and are all staff members friendly and professional? Ask yourself one question when you leave. Where you treated the way you choose to treat others? You should also understand the work that will be done and why it needs to be completed for a healthy, beautiful smile. If you cannot answer yes to these questions, you may wish to continue searching for “family orthodontics Lakewood” (Learn More), or “orthodontics Long Beach”, etc. As you go to choose an orthodontist, you may find it is easier to select an office that offers general dentistry along with orthodontics. This reduces the number of professionals you have to see and, if more than one family member is being treated, you may find you can schedule appointments simultaneously, making your life easier. Look for the following things when you go to select your dentist/orthodontist. Find a dentist comfortable working with all ages. Doing so makes your life easier in many ways and every family member gets the treatment he or she needs for an attractive smile. 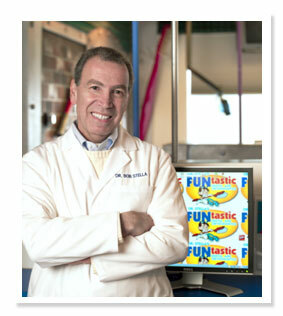 Many turn to Dr. Stella’s FUNtastic Dental and Orthodontics when searching for dental and/or orthodontic treatment. 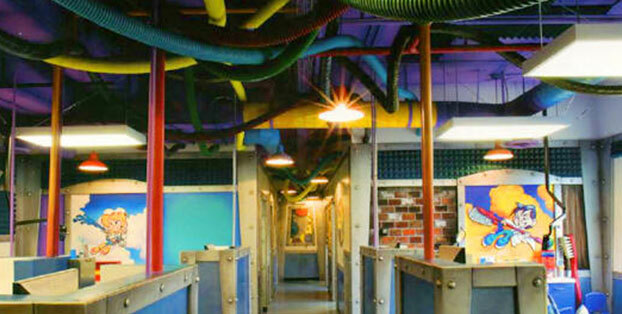 Dr. Stella offers a dental theme park that kids love to visit. Parents appreciate it also as it makes going to the dentist or orthodontist fun. Don’t delay treatment for any family member. Contact Dr. Stella and set up an appointment today.